Yellowstone Moose Island Light. 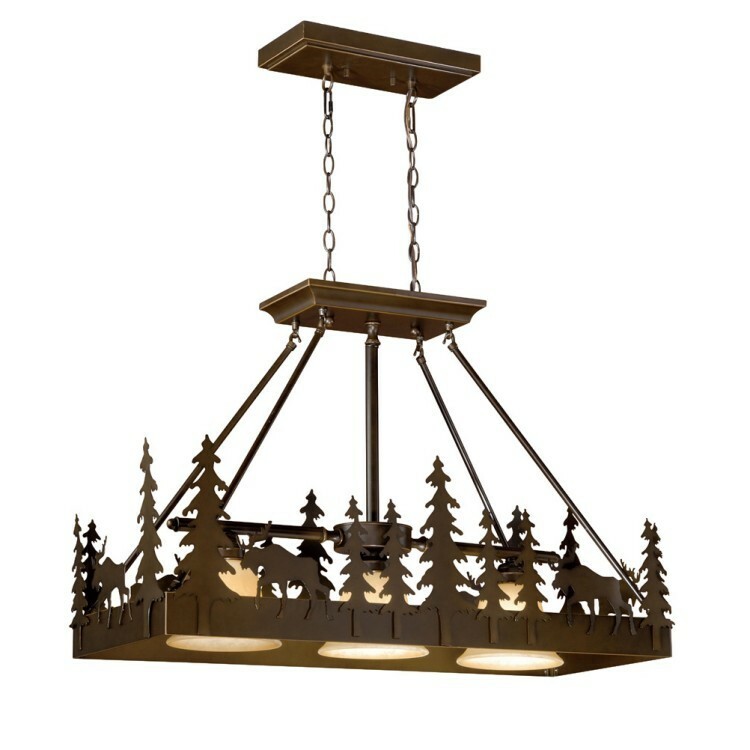 A grove of pine trees and moose surround this three light island light in a Burnished Bronze Finish. Three amber flake glass shades are suspended inside the fixture for a pleasant view from any angle. 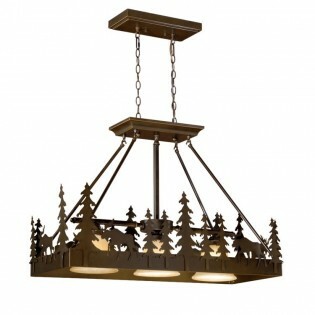 Add this moose and pine tree island light to your kitchen or above your pool or game table.